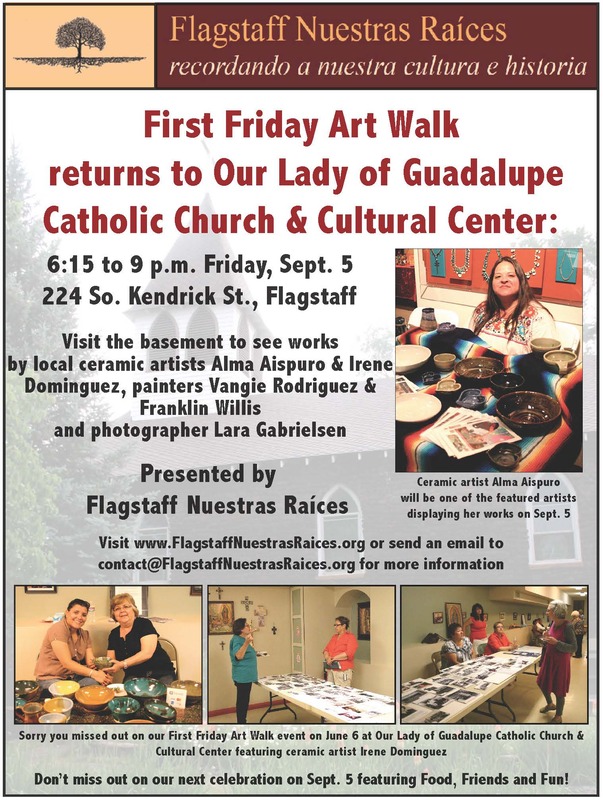 The Flagstaff First Friday Art Walk returns to Our Lady of Guadalupe Catholic Church & Cultural Center from 6:15 to 9 p.m. Friday, Sept. 5 at 224 S. Kendrick St., Flagstaff. Visit the basement and see works by local ceramic artists Alma Aispuro & Irene Dominguez, painters Vangie Rodriguez & Franklin Willis and photographer Lara Gabrielsen. 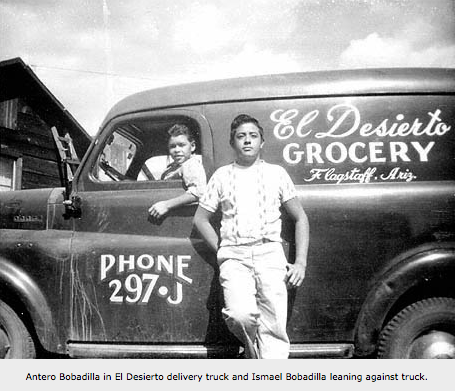 Presented by Flagstaff Nuestras Raíces. Visit www.FlagstaffNuestrasRaices.org or send an email to contact@FlagstaffNuestrasRaices.org for more information.